I am 60 years young and I've never felt more alive! 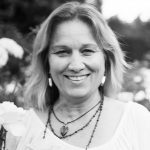 Since I became a Completion Process facilitator in 2015 and started doing shadow work integration, my healing journey has accelerated exponentially. I noticed an amazing phenomena too, working with my clients. I can see a part of their struggle reflected back at me. Life truly is a mirror! So it is no mistake who I work with. I believe each person is led by a higher power to the facilitator that best resonates with them at that time in their life and we are foreordained to work together. I believe that we are meant to thrive in life and that suffering is a false program to be cleared. I truly love seeing the light-bulbs of illumination go off as my clients realize they had the power all along to help themselves and that they can be in the driver's seat of their life. I seem to be gifted to be able to help my clients get to the core of their struggle very quickly, shining love and light into the shadows. I see that what keeps people stuck in life is that they judge their shadow parts and aren't aware of the negative false beliefs running subconsciously in the background. Part of each session is also erasing the beliefs attached to the wounds. I love creating a safe and heartfelt space for my clients to open up to the possibility that they are a whole and worthy being and with love and commitment to yourself all things are possible!